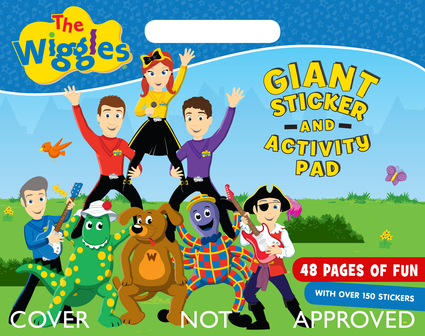 Wiggly fans will be happily occupied with this large format sticker and activity pad featuring their Wiggly heroes. Includes over 150 stickers and 48 pages of age-appropriate activities. The Wiggles are the world's most popular children's entertainment group. They formed in Sydney, Australia in 1991. It's an exciting new era with a new generation of Wiggles fans singing and dancing with Anthony (Blue), Emma (Yellow), Lachy (Purple) and Simon (Red)!